The Tech Army is recruiting experienced installers and technicians to join our nationwide network. There is no cost to join, and when you enlist you will start receiving bid requests right to your email, depending on the capabilities you specify. We are always in need of cable wiring specialists, IT professionals, and event production companies. Our lead generating vendors perform service and installation of a variety of technology services, nationwide. Rentacomputer.com specializes in short-term technology rentals and event production. 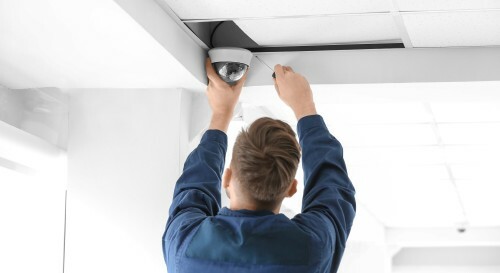 Camera Security Now performs installation and service of security cameras and access control systems. Xponex Media designs and hosts websites, with an expertise in search engine optimization (SEO). Computer Service Now provides IT service and repairs for the SMB industry. The Tech Army has been around for decades, with Rentacomputer.com opening for business in 1987. They handle the customer service and billing, and the Tech Army does the heavy lifting. Tech Army members are representatives of the organization and are expected to act professionally and perform at the highest level. Members are vetted and reviewed after every job, and while we consider every Tech Army member to be a valuable teammate, customer satisfaction is always a priority. We have done business in all 50 states, as far north as Barrow, Alaska! We have been operating in Canada and Mexico for years, and recently have expanded globally into the European markets. So whether you do security camera installations in Boston, event production in Las Vegas, or computer rentals in London, enroll with the Tech Army today!